He went above and beyond to help. A young swan found on the verge of death is alive and recovering today — all thanks to a quick-thinking teenager whose actions saved his life. Fifteen-year-old Joshy Martin lives in Melbourne, Australia, where his aunt Carla Penn runs the animal recovery and rehabilitation group Warriors 4 Wildlife. This week, after someone called in to report a swan caught in fishing line in a nearby lake, Joshy volunteered to join in the rescue effort. When they arrived, the situation seemed hopeless: The swan's "lifeless, cold and stiff body lay before us," the group wrote online. But movement in the bird's eyes indicated there was a chance he could be saved, so they raced him back to their clinic. It was during the ride that Joshy went above and beyond to help a fellow being. 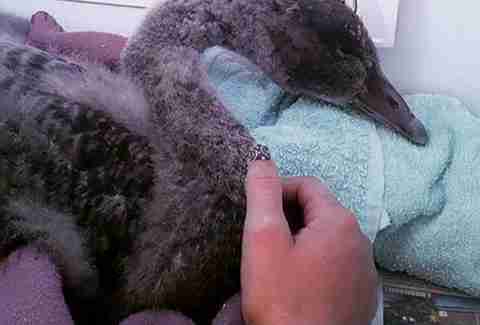 He performed mouth-to-mouth resuscitation, coaxing the dying swan back to life. 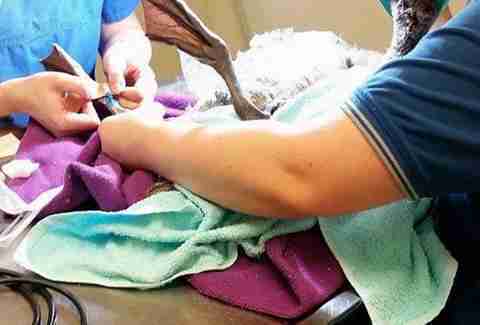 Thanks to Joshy's actions, the swan started to breathe on his own — buying crucial time needed to get to the clinic. There, oxygen and an IV drip were administered, and the bird's road to recovery began. Warriors 4 Wildlife reports that the swan is doing well and, with any luck, will be returned to the wild in the coming weeks. 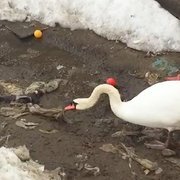 The story of his rescue, meanwhile, has inspired others to get involved in helping the swan recover. 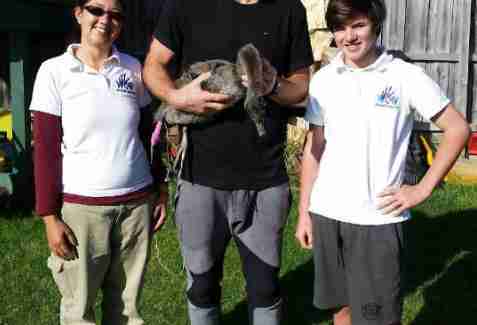 Australian Football League athlete Travis Cloke and his wife, Beccy, were among the first to make a donation to the swan's care. They recently stopped by Warriors 4 Wildlife to visit Joshy and the swan he saved, who's been named Clokey in their honor. To support Warriors 4 Wildlife, visit its website to make a donation.